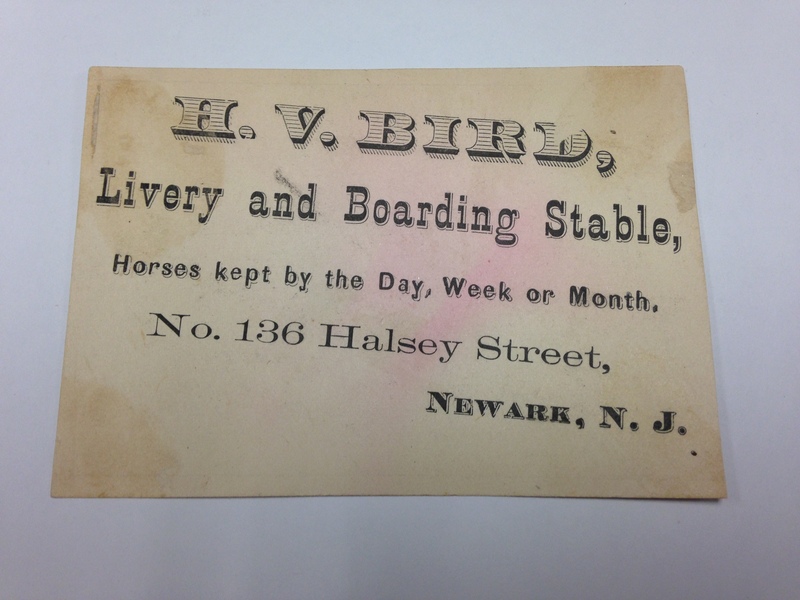 This late Victorian trade card advertises a place that boarded horses as well as renting them out for hire. This establishment was located near the corner of Halsey Street and the Morris Canal, now Raymond Boulevard. These stables were located all over the city at one time and now there isn’t one. 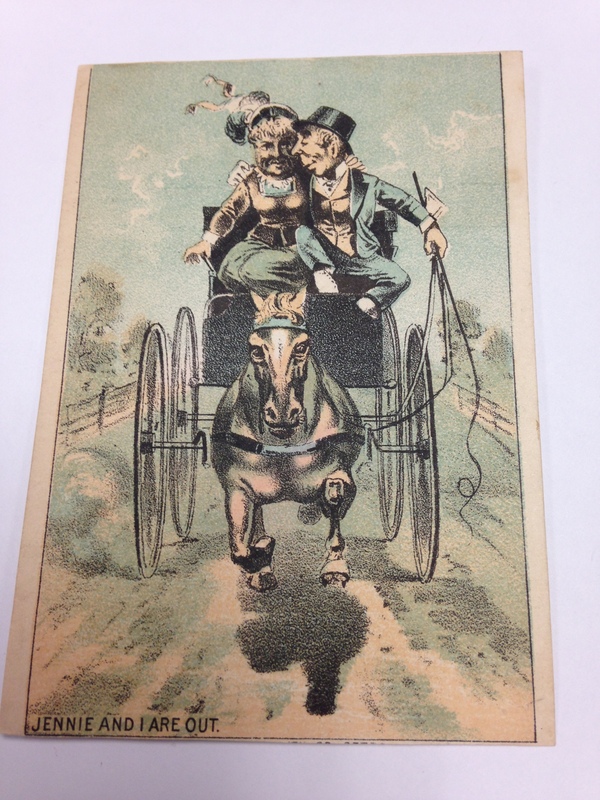 The arrival of the automobile completely wiped out this type of business. Much like CD’s replaced vinyl records.